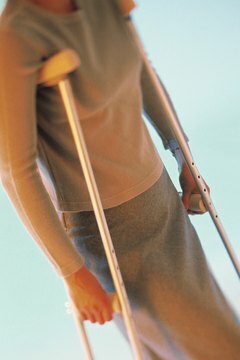 You may qualify for unemployment benefits after an injury. Before you can collect unemployment benefits, you must complete an application process with your state's unemployment commission or department of labor. A big part of this process is determining the reason for your unemployment. If you don't have a good reason, you will likely be denied benefits. A broken leg may or may not be a good reason for your job loss. It all depends upon whether your injury is directly associated with your unemployment. Chances are slim that you will collect unemployment just for breaking a leg. However, if your wages or hours are affected as a result of the injury, you may qualify for benefits. There are three ways your wages or hours can be affected, including termination, reduced hours or resignation. To collect benefits, you also need enough base period earnings. These earnings are calculated based on the 12 to 15 months leading up to your benefits application. The exact base period earnings requirement varies by state. And, your broken leg must not prevent you from actively seeking employment. If you are fired after breaking your leg, you may be able to collect unemployment. The determining factor is whether you are at fault for the termination. If the termination is a result of you willfully violating company rules and procedures, there is a great chance you are disqualified. For instance, if you miss a scheduled shift without calling out, you are considered a no-call no-show. If the employer fires you for being a no-call, no-show, it is irrelevant to your broken leg. Depending upon the nature of your job, you may have to work fewer hours after breaking your leg. Most states allow you to collect unemployment benefits if you experience a “drastic” reduction in your wages or hours. The term drastic is defined by each state. For instance, Massachusetts allows you to collect benefits if one third of your wages or hours are cut. 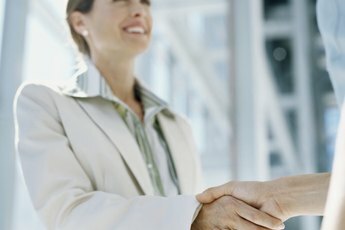 Georgia allows you to collect unemployment if you are switched from working full-time to part-time. Your reduction in hours can't be the result of disciplinary action. If you quit after breaking your leg, it will be difficult to collect benefits. To qualify, you have to prove that you had a “good reason” for quitting. If most people in your situation wouldn't quit, you probably don't have a good reason. It's important to exhaust all possible options before quitting. You also need documentation proving you exhausted all options. For instance, if you have a job that requires you to stand all day, ask your boss if you can switch to a seated position. If no seated positions are available, ask your employer about short-term disability benefits. With short-term disability, your employer pays a portion of your salary while you recuperate at home. Mass Resources: Unemployment Insurance – Am I Eligible?